August: Osage County is the Pulitzer Prize winning drama by Tracy Letts directed by Anna Shapiro which premiered in 2007 to a crowd of many theatre lovers. Many who have enjoyed the play when it first came out have seen it on more than one occasion after it started a tour around America. 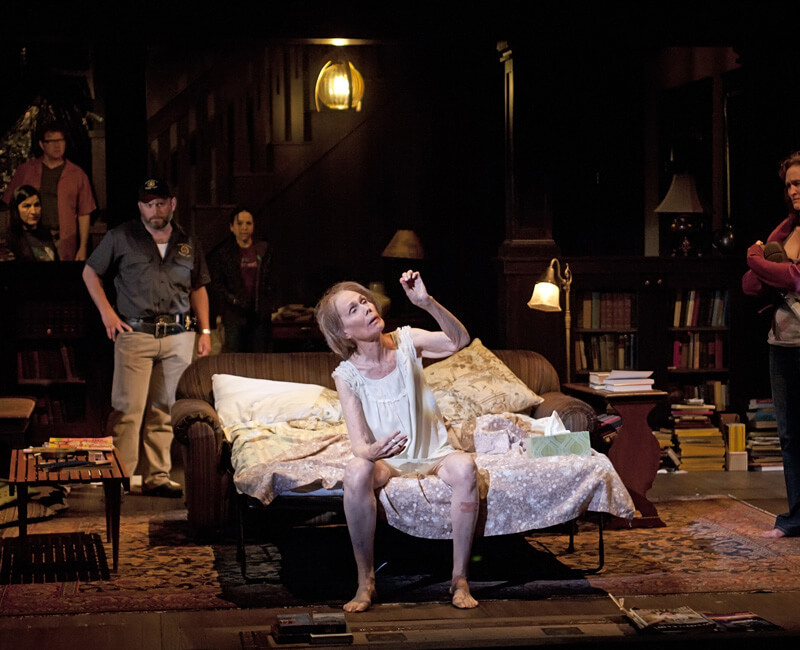 Tracy Letts’ play belongs to the black comedy genre, giving it quite a darkly dimension. The action revolves around the Weston family who is forced to confront their reality both from their past and their present. The plot of August: Osage County is very enjoyable and has made many people applaud the writing and directing efforts every single time the play was presented. The August: Osage County plot begins in August as the action takes place over several weeks in the home of Beverly and Violet Weston in Oklahoma. Beverly is a poet and has a drinking problem while his wife suffers from mouth cancer and has become addicted to drugs. The story begins when Beverly is trying to hire a new live-in cook and caregiver for Violet. Problems between the couple are part of the plot from the first scene when Johnna is hired. A few weeks later Beverly disappears which motivates the family to come together to look for him but only to find a few days later that he has committed suicide. Barbara and Karen, the other two daughters of Violet and Beverly, along with Ivy who lives in the house come to their father’s funeral, as does the entire family. A series of conflicts ensue over the next several days as Violet and Barbara have never understood each other. Karen’s fiancé proves to be a pot smoker and tries to molest his soon to be niece, Ivy is planning to run away with her cousin after engaging in a romantic relationship, but he proves to be her half-brother and, at the end Violet remains alone, only with Johnna.